If you drive a car, you need to have car insurance. 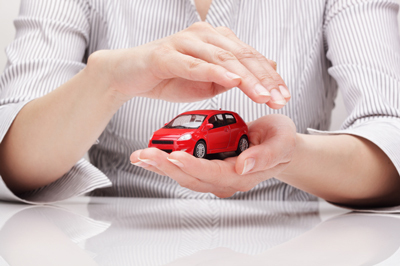 Car insurance provides you with valuable protection and shields you from liability in the event of an accident. Car insurance is so important that states require their drivers to have it. If you fail to insure yourself and your vehicle, you could lose your driving privileges and face fines and other penalties. Many drivers are confused about the factors that go into determining their insurance rates. Understanding the factors car insurance companies use to set their rates can make shopping easier and help you get the best policy for the lowest possible price. Your driving record will obviously play a critical role in how much you pay for car insurance. If you have multiple accidents and moving violations on your record, you can expect to pay far more in premiums than a driver with a perfectly clean record. It could be even more difficult and expensive to get insurance if you have a serious infraction like a DUI. Car insurers will pull a copy of your driving record, so there is no way to hide your past problems. The best you can do is drive safely from now on and wait for those black marks to drop off your record. You can obtain your driving record at Florida Highway Safety and Motor Vehicles. Your experience behind the wheel is another important factor when setting your insurance rates. Parents with teenage drivers in the house often learn this lesson the hard way when their rates skyrocket. Driving is a learned skill, and inexperienced drivers tend to get into more accidents than drivers with years of experience behind the wheel. There is little you can do to change this, other than driving safely and building the experience you need. The town or city you call home can have a profound impact on your car insurance rates. Car insurance companies keep detailed statistics on accident rates throughout the country, tracking everything from crashes and DUI convictions to auto thefts. If you are unlucky enough to live in a high claim area, you will probably face higher car insurance rates. Again, there may be little you can do to fix this problem. If you live in a big city, moving to a smaller town could save you money on car insurance, but you might spend more on gas driving back and forth to work. Some car insurance companies offer discounts to college graduates and penalize drivers with lesser education. This may not seem fair, but studies have shown that education and driving ability are often related. If you have been to college, be sure to let your car insurance agent know. If not, shop around for companies that place more emphasis on your experience behind the wheel and less on your classroom studies. What you do for a living can also have an impact on your car insurance rates. Some car insurers charge higher rates to blue collar workers and provide discounts for those in white collar jobs. Be sure that your occupation is classified correctly when you apply for car insurance. If you are unsure about the classification, you can ask your agent if occupation is a factor is determining rates. Your credit rating can impact more than just your loan rates. Many car insurance companies take your credit rating into account when setting rates, citing studies that show a correlation between financial status and claims. If you have not already done so, pull a copy of your credit report and review it carefully. A mistake on your credit report could reduce your numerical score and increase your premiums. Paying down debt and avoiding new credit can also boost your score and help you qualify for lower premiums. Check your credit rating at Experian.